Syrian President Bashar al-Assad said his government is ready to negotiate on “everything” in proposed peace talks in Kazakhstan but it was not yet clear who would represent the opposition and no date had been set. 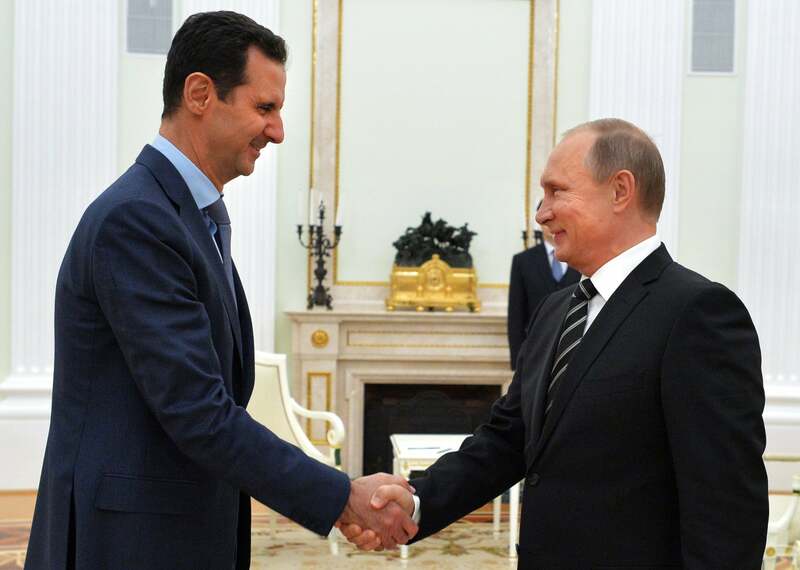 Assad also said a ceasefire brokered by Turkey and Russia, his most powerful ally, was being violated and the army would recapture all of Syria including a rebel-held area near Damascus where a vital water supply had been bombed out of service. Russia said last month it had agreed with Assad, Iran and Turkey that the Kazakh capital of Astana should be the venue for new peace talks after rebels suffered their biggest defeat of the war by being driven from eastern Aleppo. Russia and Turkey, a major sponsor of the anti-Assad opposition, have also brokered a truce as a step towards reviving diplomacy, though the warring sides have accused each other of many violations. Assad said the government delegation was ready to go to Astana “when the time of the conference is set”. “We are ready to negotiate about everything,” he said. Asked if that included his position as president, Assad said “yes but my position is linked to the constitution”. “If they want to discuss this point they must discuss the constitution,” he said. He indicated that any new constitution must be put to a referendum, and it was up to the Syrian people to elect the president. Assad said: “Who will be there from the other side? We do not yet know. Will it be a real Syrian opposition?”. Dismissing groups he said were backed by Saudi Arabia, France and Britain, Assad said discussion of “Syrian issues” must be by Syrian groups. The main Syrian opposition umbrella group, the High Negotiations Committee, is backed by Riyadh. Rebel groups operating under the “Free Syrian Army” banner earlier this month said they had frozen any talks about their possible participation in the Astana talks due to violations of the ceasefire, chiefly in Wadi Barada near Damascus. The Syrian army backed by its Lebanese ally Hezbollah has been trying to recapture the Wadi Barada valley where the capital’s main water source is located. Rebels and the government at the weekend failed to agree a plan to repair the springs, and air strikes escalated there on Sunday. Assad said the Wadi Barada area was held by a jihadist group not covered by the ceasefire. “The terrorists occupy the main water source for Damascus, denying more than 5 million civilians water for more than three weeks,” he said. “The Syrian army’s role is to liberate that area,” he said.